Over 150,000 people trust CoinCorner as there are many benefits to using our services. One of the key advantages is that everything you need to buy Bitcoin is available in one place! We’ve kept our platform clean and simple too so that you can manage your cryptocurrency easier than ever before. What can you do with an account at CoinCorner? The CoinCorner mobile app makes managing your Bitcoin portfolio effortless. 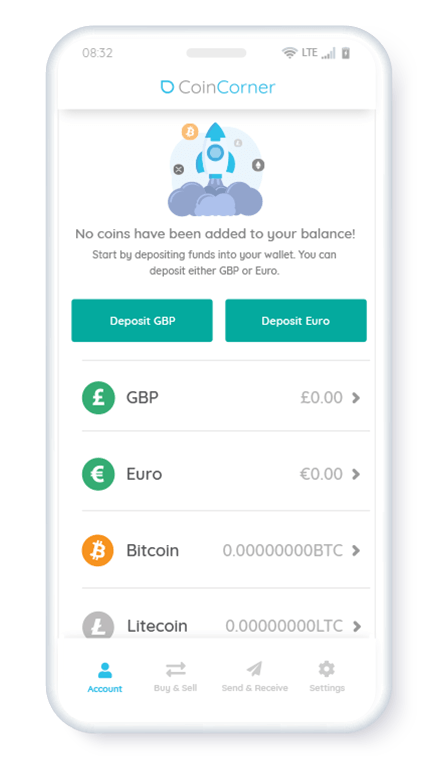 Available on Android and iOS, you can access your CoinCorner account easily from your mobile phone or tablet at any time convenient to you. Buy and sell bitcoins, send and receive payments, and much more - with the CoinCorner mobile app, you have the power of the Bitcoin network in your pocket. Why use the CoinCorner mobile app? CoinCorner’s new Visa debit card is coming in 2019! Sign up here for the pre-sale and be one of the first to order a Visa debit card in advance of the official launch. Pre-sale customers will receive their Visa debit cards ahead of the general sale too. Why should I sign up for a Visa debit card? Bitcoin is more than a store of wealth and can be used as an alternative to fiat currency. As a payment method, Bitcoin can be used to buy goods and services. 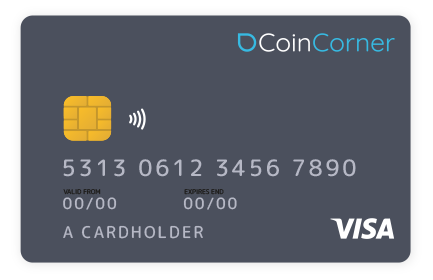 The CoinCorner Visa debit card will make spending Bitcoin easy and can be used at all of your favourite retailers. Customers will be able to use their Visa debit card in-store and online, like with a standard debit card. Helping to make Bitcoin more accessible and usable, the CoinCorner Visa debit card will be accepted wherever Visa is supported. 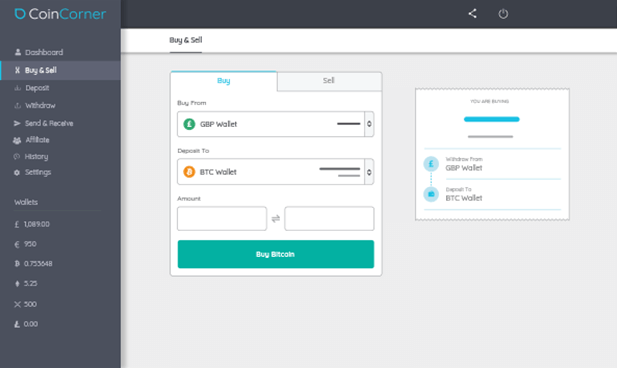 All transactions will automatically be converted into GBP or EUR at the moment of sale. What will the Visa debit card look like? As with all other major cards, the CoinCorner Visa card will display the usual customer details (e.g. card name, card number, expiry date and CVV).